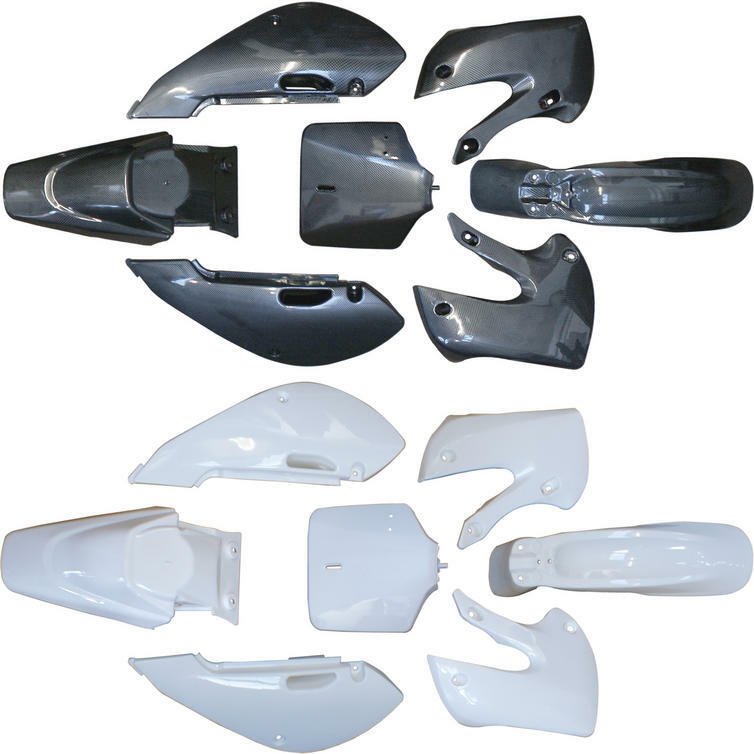 The KLX Pit Bike Fairings are now available at Ghostbikes. 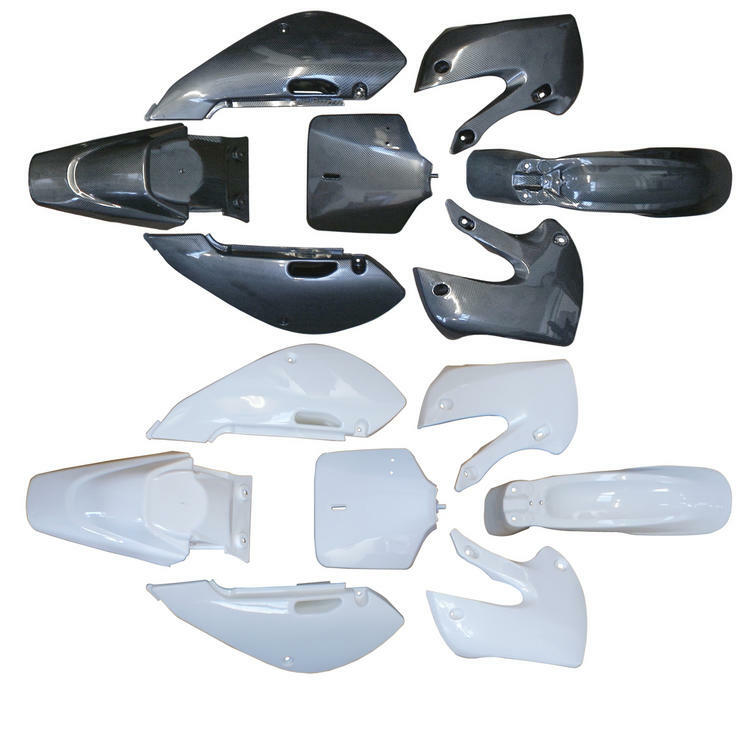 Designed to suit the KLX dirt bike as a direct replacement part, these individual plastic panels are ideal for replacing a broken original, face-lifting an old bike, or for keeping in the garage as spares in case an accident happens in the future. With easy to attach panels, the KLX plastics are designed to fit easily to your pit bike. Get your Motocross and Pit Bike replacement parts and spares from GhostBikes today! !